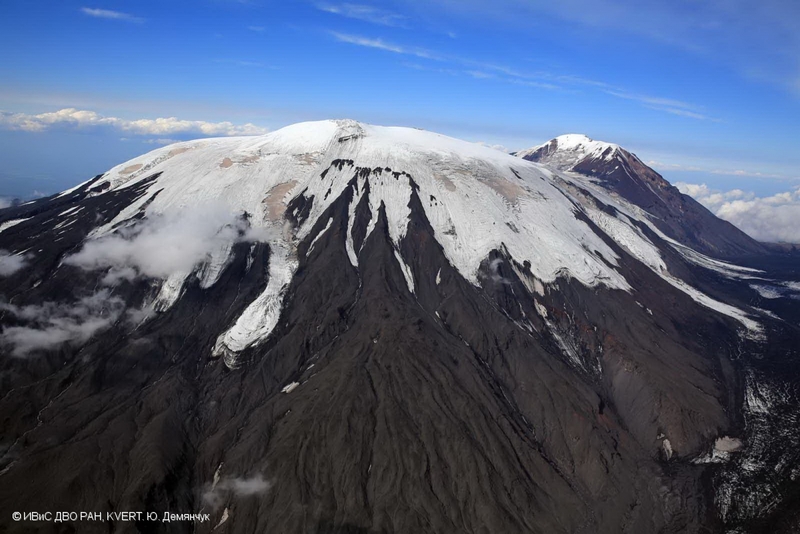 State of Mutnovsky volcano on September 07, 2013. Viluchinsky volcano on September 07, 2013. 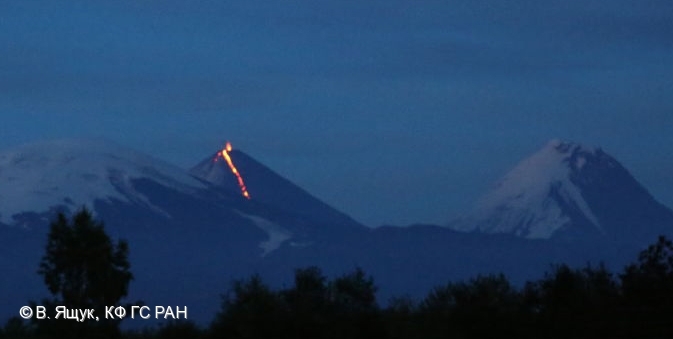 Explosive-effusive eruption of Klyuchevskoy volcano continues! 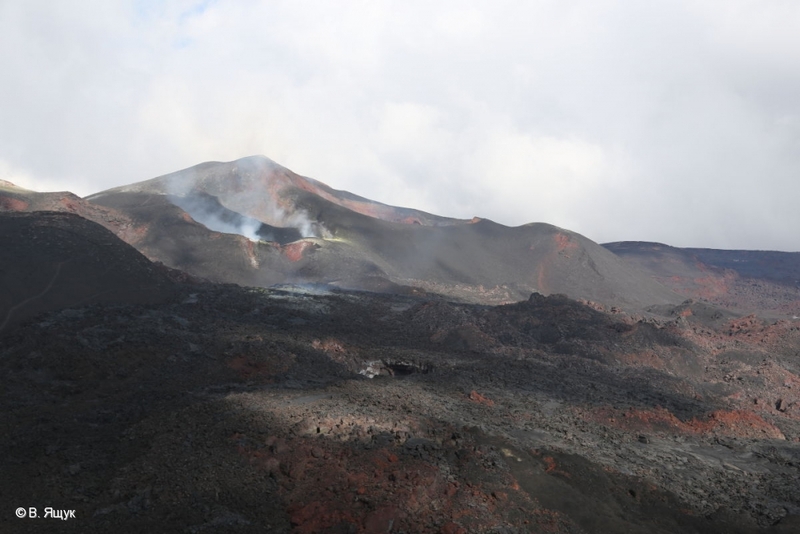 There are Strombolian activity at the summit crater and a lava flow on S-W volcanic flank. 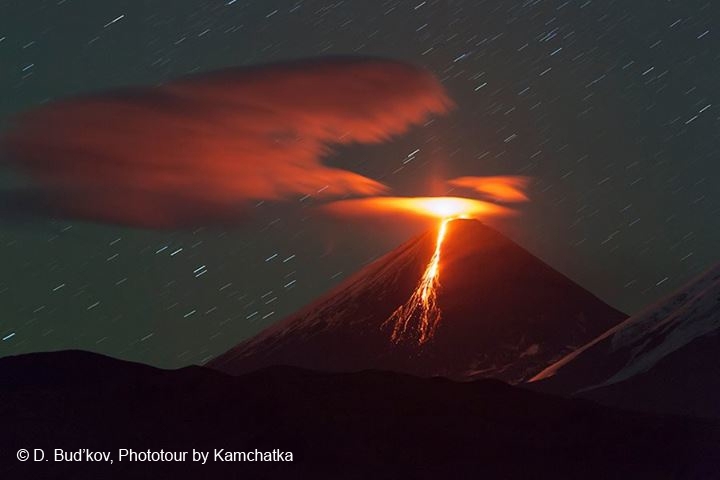 Klyuchevskoy volcano, explosive-effisive eruption continues. Lava fountains into Klyuchevsloy volcano crater and lava flow on the south-western volcanic flank. 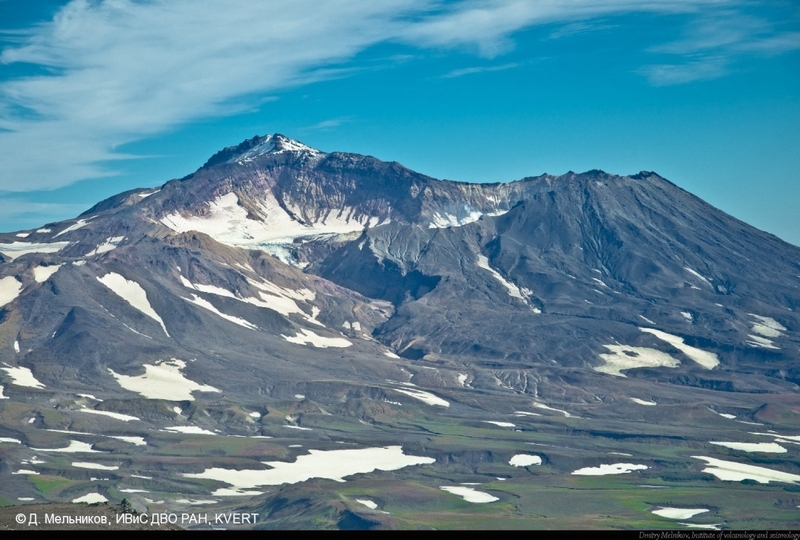 Shmidt volcano - destroyed shield volcano. 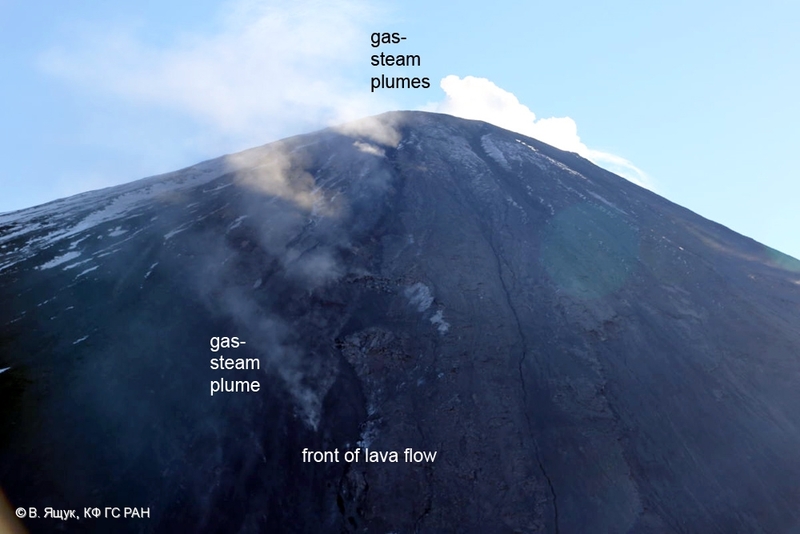 State of the southern part of Tolbachik Fissure Eruption 2012-2013: lava fountains into the active cinder cone is not observing. 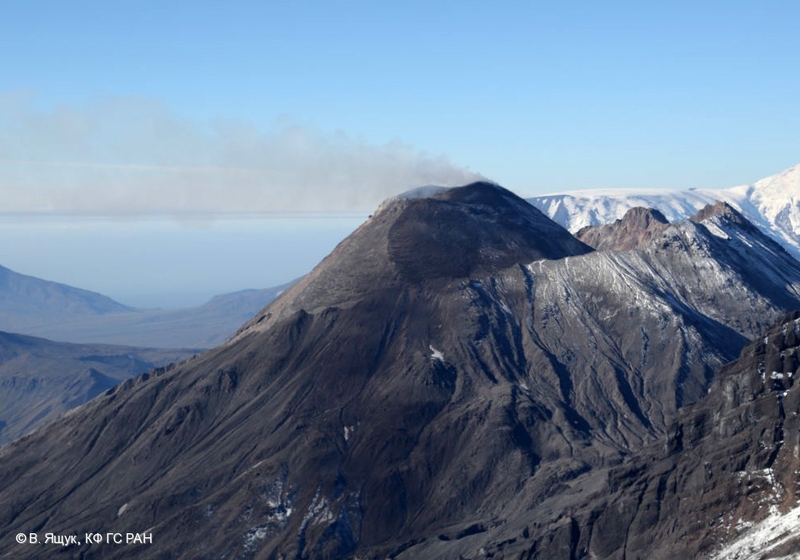 The thermal anomaly at Klyuchevskoy volcano: a lava flow continues to effuse on the south-western volcanic flank from August 26, 2013. 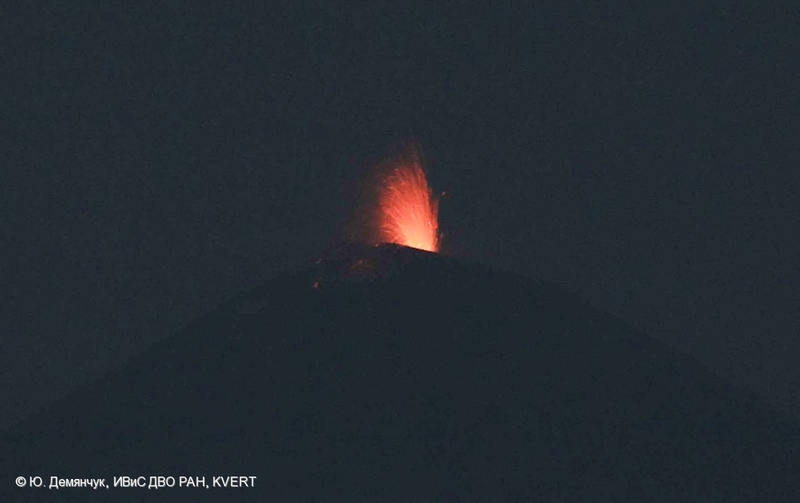 Strombolian activity of summit crater of the volcano is observing too. 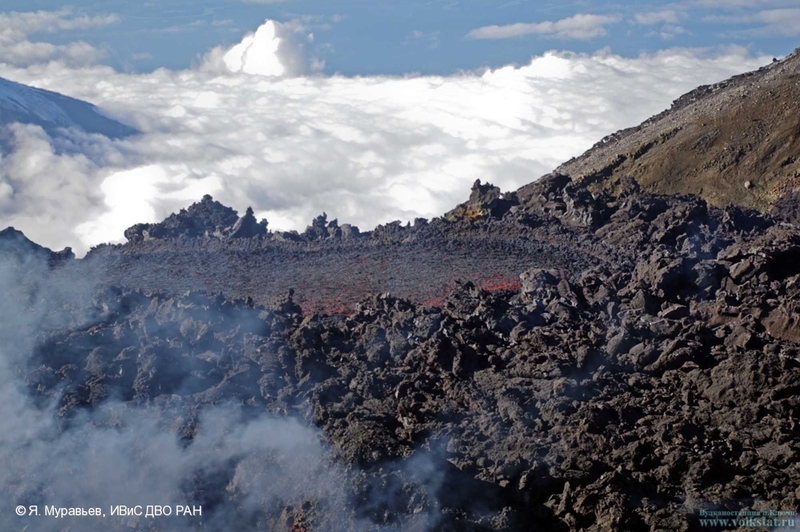 A lava flow on the south-western flank of Klyuchevskoy volcano on August 28, 2013. State of Bezymianny volcano on August 28, 2013. 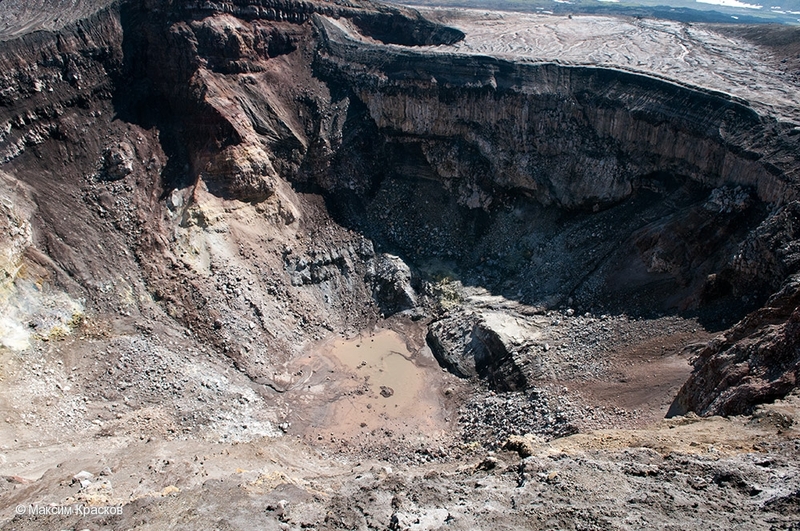 New cinder cone into Klyuchevskoy volcano summit crater, 28.08.2013. 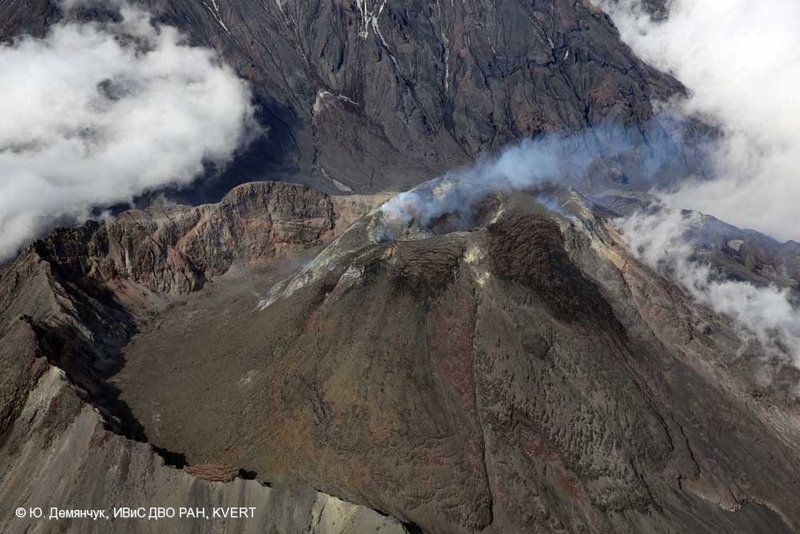 New lava flow into Klyuchevskoy volcano summit crater, 28.08.2013. 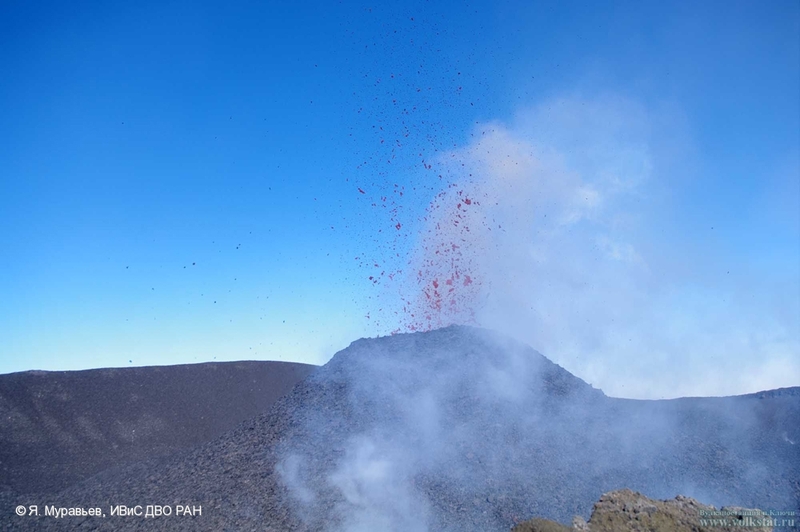 Lava fountains from new cinder cone into Klyuchevskoy volcano summit crater, state of 28.08.2013. 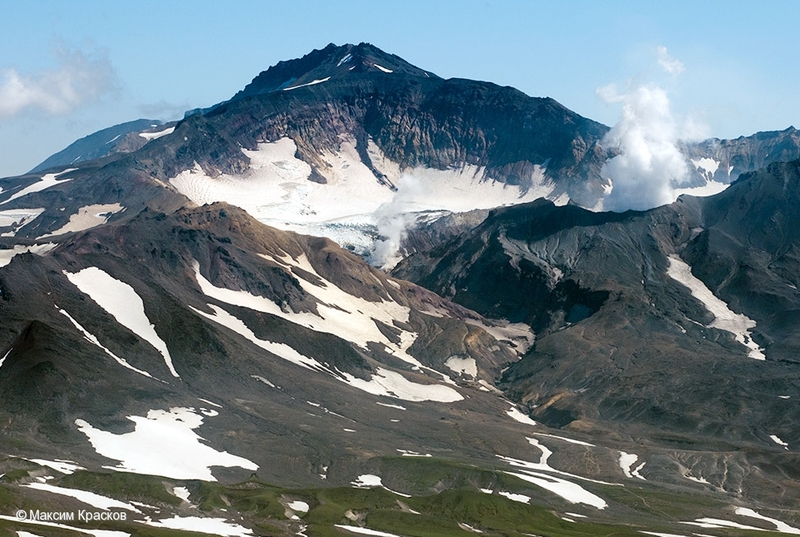 View of volcanoes Krestovsky (to the right) and Ushkovsky (to the left) from Klyuchevskoy volcano summit on August 28, 2013. 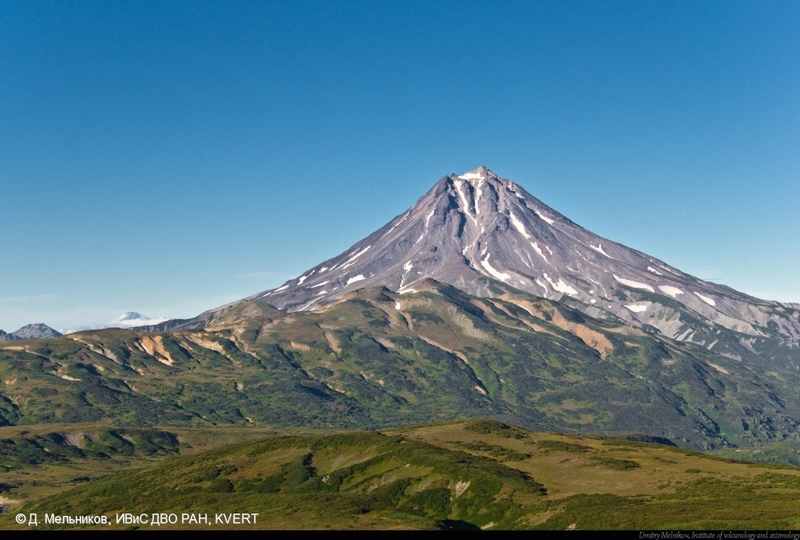 State of Mutnovsky volcano on August 25, 2013. 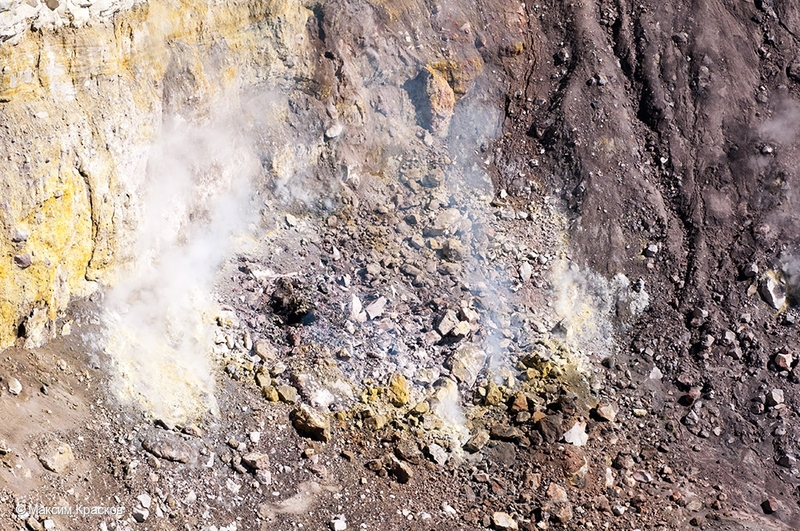 Moderate fumarole activity of Active crater (to the right) and Lower thermal field (in the center). 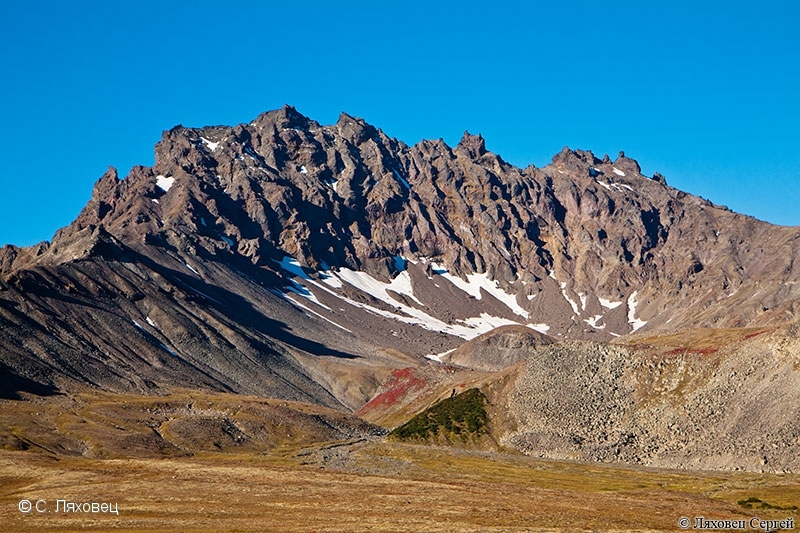 Area of fumarole was covered of rock fragments. Lake absence into active crater of Gorely volcano on August 25, 2013. 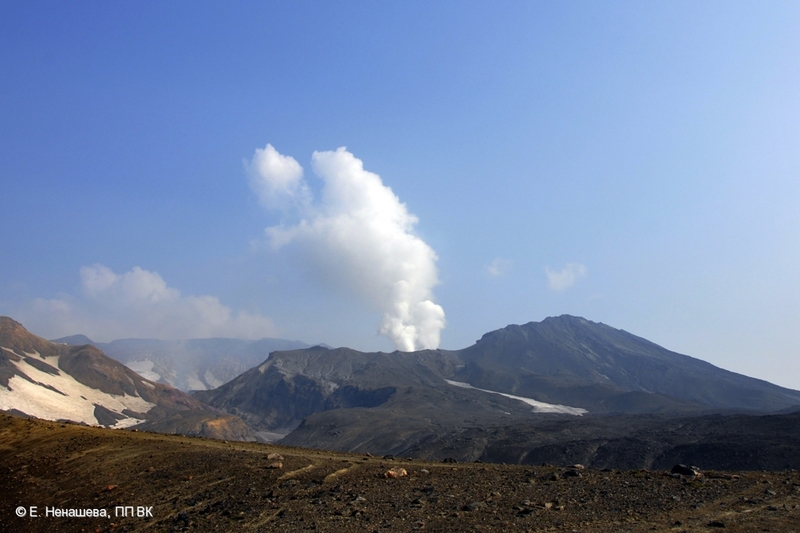 Fumarole activity of Mutnovsky volcano on August 23, 2013. State of Ushkovsky volcano on 23 August, 2013. 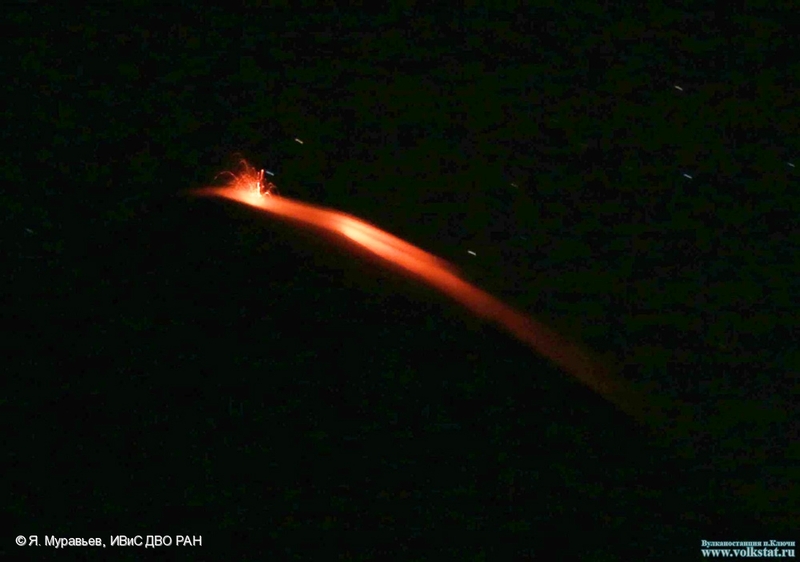 Strombolian activity of Klyuchevskoy volcano on August 21, 2013. State of Bezymianny volcano on August 21, 2013.